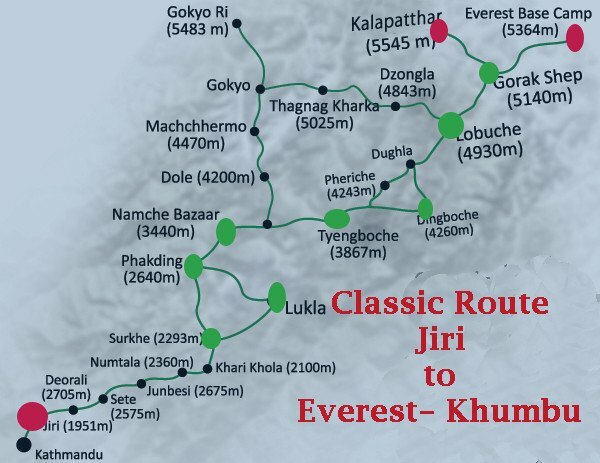 Jiri to Everest Base Camp trek follows the steps of first mountaineers on their successful Everest Expedition in 1953. Yes, Sir Edmund Hillary and Tenzing Norgay Sherpa followed the same trail to the Base Camp and ultimately to the summit of mount Everest. This is the same classic trail used by every consequent mountaineering expedition and trek leaders until flights to Lukla offered a short cut. Nowadays, due to time limitation many trekkers choose to take a flight to Lukla and start and end the trek there. The Everest Base Camp trek starting from Jiri is equally accepted and regularly used by trekkers as it has its own charm and appeal. The great mountain country, rivers and streams, beautiful and culturally rich villages, less crowded trail and most importantly the opportunity of more gradual acclimatization, the route still catches the attention of many trekkers. This route provides a chance to visit more Buddhist monasteries, more of the culturally rich Sherpa and other ethnic villages representing simple yet affluent mountain lifestyles and walking on this trail proves to be quite a significant experience. This is one of the worlds best treks, set amongst breathtaking high mountain sceneries. Tourists are rarely seen at the earlier stages of this trek, because most prefer to fly to Lukla for certain reasons. 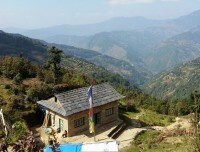 Though this is an easier option many miss out on witnessing villages that reflect true Nepalese culture and lifestyle. Magnificent landscapes, imposing & prestigious peaks, tapering ridges & colorful villages contribute to turning this trek into an unforgettable experience. The itinerary leads through the high Khumbu Mountains before finally arriving at the foot of the almighty Everest. The hike to Everest Base Camp and Kalapattar (5545m/18188ft) ascent are the highlights of this trek. Day 02Drive from Kathmandu to Shivalaya (1770m/5805ft) 8-10 hours' driveWe drive along the Araniko Highway (the road connecting Tibetan Boarder of Kodari) for about 3;00 hours and cross Sun Koshi river towards Mude. It’s a scenic drive along with terraced field, typical villages and panoramic view of eastern Himalayas including Ganesh Himal, Lantang Lirung, Dorje Lakpa and a few other snow-capped mountains. With many ups and down through the beautiful Nepalese countryside, it is an excellent drive to Shivalaya. Day 03Trek from Shivalaya to Bhandar(2200m/7216ft) 5-6 hours trekFrom Shivalaya the route crosses a stream, and then starts a steep climb toward Sangba Danda at 2150m/7050ft). The trail climbs gradually past several isolated houses. The trail then climbs steeply in the forest to another tea shop at Mahabhir, crosses another stream and climbs to the Deurali Pass (2700m/8856ft). The pass has a nice view of the Likhu Khola valley and Bhandar, a large Sherpa settlement far below in a hanging valley. The trail then drops about two hours to reach Bhandar. Day 04Bhandar to Sete (2520m/8265ft) 5-6 hoursFrom the village square of Bhandar, the trail descends through the lower fields of village, and then follows a small stream. It crosses the stream and descends through deep forest. Leaving the forest, the trail drops into a canyon towards another Sherpa village of Kenja. The trail then ascends steeply toward Lamjura Pass, the first part of ascend is very steep, then it becomes less severe as you gain elevation. After about two hours of climbing you reach Chimbu. Then it’s a short walk to Sete. Day 05Sete to Junbesi (2680m/8790ft) 6 -7 hoursToday, the trek begins with a long but gradual climb to the Lamjura Pass (3530m/11580ft). There you are rewarded with frost and often snow along the trail in winter or with blooming rhododendrons in the spring. The trail passes through the rhododendron, magnolia, maple and birch forest with beautiful Himalayan ranges on the background. The pass is the highest point between Jiri and Namche Bazaar. The trail then descends down steeply through fragrant fir and hemlock forest to the stream and small Tea-house and then to the impressive Sherpa village of Junbesi. Day 06Exploration Day around Junbesi/ visit Thubten Choling MonasteryWith its attractive lodges and bazzar atmosphere, Junbesi is a good place to take a rest day and there are some interesting side-walks to Buddhist monasteries in the surrounding hills. 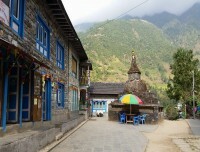 In the center of Junbesi, the Tashi Thongmon Gompa was founded in the 16th century. By the large yellow- topped Stupa in the middle of the village, the Junbesi school is one of the largest Hillary school, with more than 300 students attending classes from primary to higher secondary level. In the opposite direction of the valley, Junbesi Khola runs toward Thubten Choling monastery, a large Tibetan monastery founded by the revered Trulsuk Rinpoche who fled to Nepal from Rongbuk Gompa in Tibet with large group nuns and monk in 1960s. Day 07Junbesi to Nunthala (2220m/7280ft) 5-6 hoursToday, we climb to a ridge at 3080m/10100ft from where we have a distant view of mount Everest. From Junbesi the trail leads to the hospital and the airstrip at Phaplu as well as the district headquarters and a small market at Salleri. Leaving Salung, we make our way descending to the Ringmo Khola followed by a small climb to Ringmo. We see an apple orchard at this spot. The Apple House offers apple juice, apple pie and rakshi (rice wine). The trail from Ringmo to Namche Bazaar was built in the 1980’s and avoids many of the steep descents and ascents of the older route. Then we reach Takshindo Pass (3071m/10070ft) and then the trail drops down past the Takshindo monastery to Nunthala. Day 08Nunthala to Bupsa (2360m/7740ft) 5 - 6 hoursFrom Nunthala the trail descends to Dudh Koshi River, crosses large suspension bridge then ascends through terraced field and yard of Rai settlements of Jubing. The trail descends from the village and crosses the Khari Khola on a suspension bridge near some water-mills, and then makes a steep climb to Bupsa. Day 09Bupsa to Ghat (2590m/8495ft) 5 - 6 hoursToday, the trail climbs gradually through the forest inhabited by monkeys. We then climb through Sherpa villages and woods, passing through a narrow canyon before arriving at Puiyan, a Sherpa settlement beautifully surrounded by forest at 2720m/8920ft. The trail goes up and down for an hour and reaches Surke. The trail climbs about 15 minutes to trail a junction where stone staircases on the right leads to Lukla and north up the steep canyon leads to Chauri Kharka, a large Sherpa village at 2630m/8625ft. 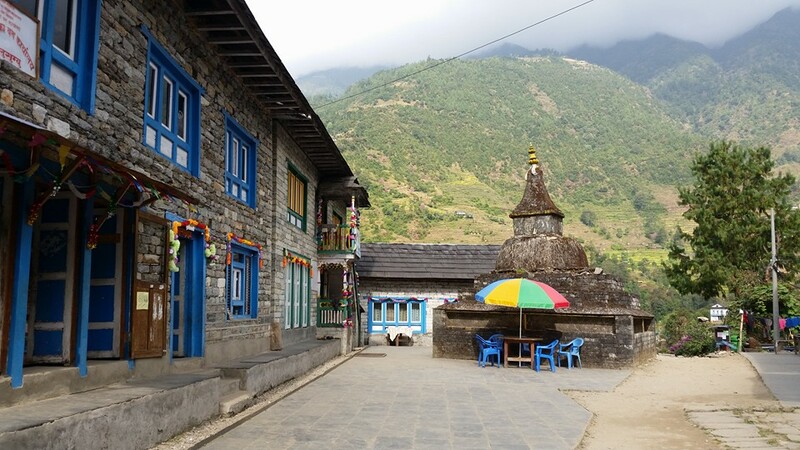 A gentle flat trail along the middle of village meets the Lukla to Everest Base camp trail. The trail continues along the side of the Dudh Koshi valley passing villages and crossing Thado Koshi and reaches Ghat. Day 10Ghat to Namche Bazaar (3440m/11280ft) 5 - 6 hoursWe continue trekking along the banks of the Dudh Kosi, crossing this majestic river many times on exciting suspension bridges laden with prayer flags. After entering the Sagamartha National Park, the trail climbs steeply with breathtaking views. Namche Bazaar, known as the Gateway to Everest, is home to many quality restaurants, hotels, lodges, shops, money exchange, Internet cafes, bars and bakeries. Namche Bazaar is the largest village along the entire Everest trail. Day 11Acclimatization Day in Namche Bazar/ Day HikeWe spend an extra night in Namche Bazaar in order to acclimatize. Today, we trek a short distance to the National Park Visitor's Center located atop the town with breathtaking views to the mountains and down the valley. After that we hike up to the Everest View Hotel, one of the highest-placed hotels in the world with oxygenated rooms. 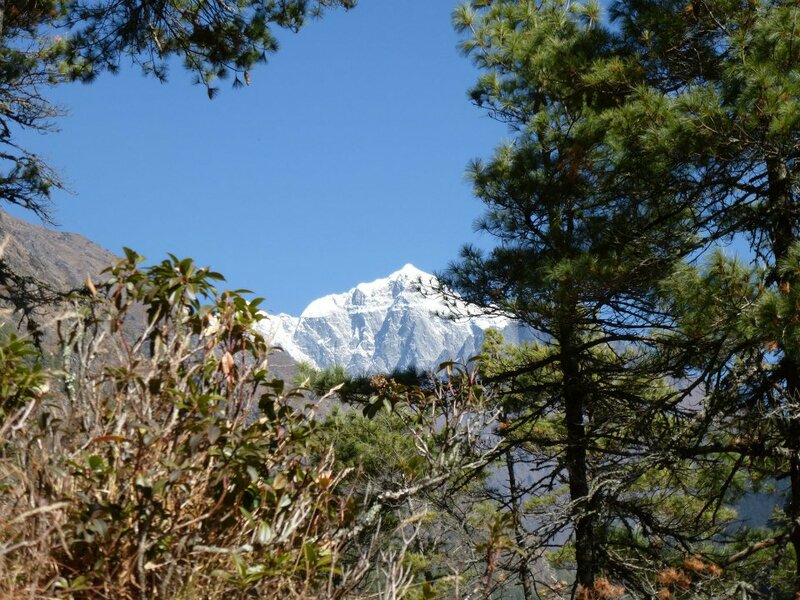 From this point, we can see rewarding views of the Himalayas including the almighty Mount Everest. Day 12Namche Bazar to Tengboche (3870m/12694ft) 5-6 hoursThe trek continues along the Dudh Kosi valley with a long descent to the Dudh-Koshi River with magnificent mountain views. 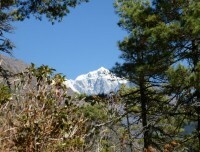 After crossing a suspension bridge, we ascent through the pine and rhododendron forests to Tengboche. After refreshments, the group will be taken to observe an evening prayer ceremony inside the monastery. The Tengboche monastery if the biggest and famous monastery in the Everest region which is decorated with ornate wall hangings, 20-foot sculpture of Buddha, Buddhist religious scripts, musical instruments and robes of the Lamas. Day 13Tengboche to Dingboche (4360m/14301ft) 4-5 hoursWe descent to Devuche through forests of birch, conifers and rhododendrons. Todays trek also reward us with amazing views of the high mountains. The picturesque trail crosses the Imja River and takes us to Pangboche. We trek towards the Imja Valley crossing the Lobuche River and climbing to Dingboche. In Dingboche, we see beautiful array of fields enclosed by stone walls to protect barley, buckwheat and potatoes from the cold winds and grazing animals. Day 14Acclimatization Day in Dingboche/ Day HikeTo acclimatize ourselves well before heading to the Everest base Camp we take an another acclimatization day in Dingboche. We take day hikes to either Nangkarstang peak or Chukkhung Valley depending on the interest of the group members. The mountain views from both the hikes are spectacular. Day 15Dingboche to Lobuche (4930m/16170ft) 4-5 hoursWe start the day with a gradual climb to Thuglha at the end of the terminal moraine of the Khumbu Glacier. From here, we climb up a steep trail to Chupki Lhara, where we find an array of stones with prayer flags used as memorials to the mountaineers who has lost their lives in the Himalayas. Then, we continue to the Khumbu Glacier moraine and find ourselves facing towards Khumbutse, Lingtren, Pumori and Mahalangur Himal. The trail then eases off as we follow the valley to Lobuche. Day 16Lobuche to Gorakshep then to Everest Base Camp (5360m/17581ft) and back to Gorakshep (5160m/16925ft) 7-9 hoursThe hike to the Everest Base Camp is strenuous due to rocky trail and high altitude. We hike through rocky dunes and moraine to the Everest Base Camp. Nuptse, Khumbuste and Pumori are the mountains we can view from the base camp. We get back to Gorakshep for a good night's rest. Some breathing problems may arise today due to the altitude. In such case, do not hesitate to report immediately to your leader/guide and he will take appropriate action. Day 17Hike to Kalapattar (5545m/18188ft) then back to Gorekshep and trek down to Pheriche (4240m/13907ft) 8-9 hoursWe prepare for an early morning departure, amid pre-dawn darkness and cold temperatures. Be prepared for chilly winds which are quite common. This will be one of the most difficult yet rewarding days of the trek. Familiar peaks such as Lingtren, Khumbutse, and Changtse tower to the east as Everest begins to reveal itself. The ascent is demanding but we get the most magnificent mountain panorama: Everest, the highest peak on earth towers straight ahead and on all sides loom the giants such as Nuptse, Pumori, Chagatse, Lhotse and countless others. We make a quick descent to Gorak Shep and have hot breakfast, and then trek down to Pheriche. Day 18Pheriche to Namche Bazar (3440m/11283ft) 6-7 hoursWe trek down through the hillside blanketed by rhododendron and juniper trees. After crossing the prayer-flag festooned bridge over the Dudh Koshi River, our trail follows the Dudh Koshi gorge descending rapidly through pine forests. In the forest, we may come across colorful pheasants and blue sheeps. The path eventually reaches Sanasa from where we can enjoy views of Ama Dablam, Thamserku and Nuptse mountains. 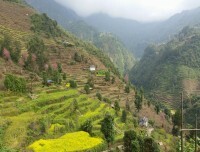 We trek through winding trails back to Namche Bazaar. Day 19Namche Bazar to Lukla (2800m/9184ft) 6-7 hoursThe trail descends steeply downward so we need to walk cautiously as our shaky legs continuously battle the rocky terrain. After crossing the suspension bridges over the fast flowing Dudh Koshi and its tributaries, the trail becomes more level and natural. After our arrival in Lukla, we stretch those sore legs and recall the experiences of the last couple of weeks. In the evening, have a few celebratory drinks and dance with your trek mates. Day 20Fly back to Kathmandu (1335m/4379ft) 35 minutes flightWe catch an early morning flight to Kathmandu after our long mountain journey. After reaching Kathmandu, we can take a rest or do some souvenir shopping. If we want to explore any other areas of Kathmandu, we may do that today. Our guides can help you with both souvenir shopping or sightseeing. There will be a farewell dinner with Nepalese cultural program in the evening to celebrate the successful completion of our journey. Day 22Drop to the airport for farewell and departure or extend the trip with other activitiesYour adventure in Nepal comes to an end today! A representative from Authentic Adventures will drive you to the airport approximately 3 hours before your outbound flight. On your way home you'll have plenty of time to plan your next adventure in the wonderful country of Nepal.